A high-quality data entry system will make the cornerstone of effective information management and accurate decision making for any business organization. The quality of data has a major role to play in enhancing the business values and the competitive edge. However, it may not be always easy to ensure an efficient data entry system. This is where the services of a data entry outsourcing service provider can make a difference. One of the key factors that influence the quality and profitability of data entry is the type of data entry system in place. Businesses may have to introduce a new data entry system or update the current system to meet the changing business requirements and demands. To make your in-house data entry system efficient you should have a well balanced and expert team of data entry operators on rolls, which may, however, add up to the expenses. An inefficient data entry system, on the other hand, can lead to loss of revenue and a bad reputation. Outsourcing will help you to ensure the best results in the shortest possible time, all the while cutting down on the operational overheads. Here are five steps that you can follow to evaluate a planned data entry system that you want to implement in your own organization. If you are interested in getting your data entry projects completed by an experienced online data entry service provider, you can assuredly use this process to evaluate the existing data entry system used by the provider and check whether it suits your requirements. Chart out the expectations of your data entry projects, data management processes involved and the software and technology that will be implemented. Consider the weaknesses of the existing system and the different software packages in consideration and how effective these are in resolving the current issues. Find out whether the software packages have data validation and error detection mechanisms in place. It is recommended to use good data entry software that enhances the productivity of data entry operators. 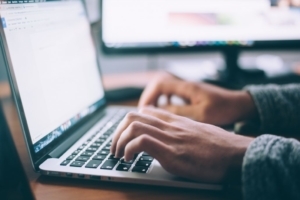 Opt for high-quality software to ensure more speed and accuracy for your data entry work even if that means shelling out a bit more than ordinary software tools. The software you wish to procure must support the number of employees working on the system and their experience and skill set. Once you have a list in place, you can avail the opinion of the data entry experts regarding its feasibility. Compare the different data entry software packages available to find out its effect on the overall productivity and performance. Before choosing the software make sure to check various factors like technical support and reliability of the vendor among others. Before switching to the new software you need to carry out a cost/benefit analysis to make doubly sure that it can fulfill your requirements. Consider some essential features like software costs, hardware costs, conversion costs and all the possible benefits like cost reduction and improvement in accuracy and productivity among others. Once you have completed the cost/benefit analysis you can finalize the software package from the top contenders in the list. If you find that there is not much difference in the functional features of the technology, compare post installation parameters like technical support or cost benefits to boil down your choices. Now that you are about to have a new data entry system in place you can install the software, and train the staff on software maintenance and hardware usage to make sure that the transition turns out to be a smooth and hassle-free process. You should also have procedures for quality assurance, preparation of documentation and tutorials and postproduction review. Purchasing the best data entry software makes only half your job done because to get the best outputs. The personnel must be trained in the best practices of data entry and best data entry practices to ensure data accuracy to increase the productivity. Outsourcing your data entry tasks to a highly experienced outsourcing partner can save time and help you handle the time-sensitive tasks with accuracy. Sasta outsourcing services have the necessary expertise and trained personnel to carry out your data entry operations effectively. For more details and quote, call us or email us and be sure that you have a successful data entry system in place.